The equine foot is a complex organ. It’s form and function have a direct influence on the performance, longevity and value of the horse. 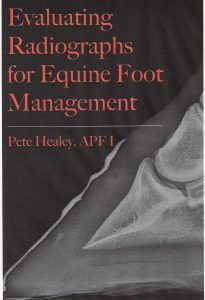 Radiographs provide specific information about soft tissue, bone angles and the biomechanical efficacy of the foot. Case studies describe how to measure and evaluate healthy parameters as well as mechanical formulas for foot rehabilitation. Using a standard for evaluation provides a common language between professionals for managing the horse’s feet. Pete Healey learned how to shoe horses back in 1979 when he was working as a cowboy on Santa Rosa Island, California. 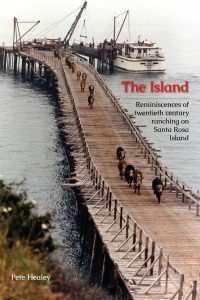 In his book “The Island, Reminiscences of 20th century ranching on Santa Rosa Island”, Pete gives the reader an insight of life on an island ranch and the unique people that worked there. The stories in this book are sure to make you smile.